Drawing on the latest historical and archaeological research, Professor Brian Bates shows that stretching from Old England to Scandinavia and accross western Europe, from the Celts through the Anglo-Saxons and Vikings, there arose about two thousand years ago a largely forgotten civilization which he calls the real Middle Earth. To those people of the real Middle-earth, the landscape took on a whole new meaning. Elvish spirits populated the trees, streams and stones, dwarves forged magical weapons, giants menaced from their mountains, and fire-breathing dragons slumbered under hills, guarding treasure which carried the fate of whole civilizatons. Real wizards cast spells, and flew on eight-legged horses, berserker warriors battled as shapeshifting bears, and seeresses foretold the future. A life force enchanted everything. People understood their universe as held together by an interlaced web of golden threads visible only to the wizards. And at its centre lay Middle-earth, the realm inhabited by people and suffused with a magical power. Bringing back to life a largely forgotten civilization, The Real Middle-Earth is a compelling account of an historical culture and enchanting as Tolkien's fictional version. Originally published by Sigwid & Jackson an imprint of Pan Macmillan Ltd in 2002 and in paperback edition 7th november of 2003. Brian Bates is professor of psychology at the University of Brighton and Director of the Real Middle Earth Reasearch Project at the University of Sussex. He specialises in the psychology of magic and spirituality. This is the third book on the Dark Ages. He also co-wrote The Human Face with John Cleese with whom he continues to work on projects in psychoanalysis. Brian Bates has recently been in the US reconstructing the teachings of ancient Anglo-Saxon spirituality, and meeting traditional Elders of other cultures. There are plans to include Anglo-Saxon tribal spirituality in various projects and to raise support for the building of an Anglo-Saxon longhouse to serve as a centre for these teachings. In The Real Middle Earth Brian Bates tells about the magical world of Middle Earth, not as a concept, but as something that really existed. J.R.R. Tolkien books on Middle Earth, like The Hobbit and Lord of The Rings, are told as if the story takes place in a real existing place in a time long forgotton. Doing this he created a myth for England, which was missing until then. In The Real Middle Earth a different story is told. The author tells very vividly about, what he calls The Real Middle Earth. This is the very real civilization in which those who lived had a vision of life animated by beings beyond the material world. Magic was real to them and they believed their universe was held together by an interlaced web of golden threads visible only to wizards. At its center was Middle Earth, a place peopled by humans, but imbued with spiritual power. The amazing thing is that the author tells about a real period in time and a real place. It was a real realm that stretched from Old England to Scandinavia and across to western Europe, encompassing Celts, Anglo Saxons and Vikings. Looking first at the rich and varied tribes who made up the populace of this mystical land, Bates looks at how the people lived their daily lives in a world of magic and mystery. The book is written in a very comprehensive and easy writing style which makes it a very good introduction to pre-roman (pre-christion) thinking. Any one who feels interested on how people thought during the period of the dark ages can find a good start here. The Real Middle Earth presents a fine tour through the mythology of early medieval England, based on an original and compelling use of archaeological and literary sources. Clinical analysis of grave-goods, cemeteries, building remains, monuments, industrial finds from medieval York, place-names, Bede, chronicles and other pieces of evidence is effectively mixed with eloquent, imaginative and often personal accounts of journeys through landscapes and ancient folklore. Do not expect anything written on Tolkien's Middle Earth, since the book talks little about it. It makes a good scetch though of the period when most pre-christian myths were written. The myths Tolkien liked, studied and used as an inspiration to build his own myth. The simularities between the real middle earth and Tolkiens Middle Earth are very obvious. This of course gives Tolkiens work more credibility and strength. Tolkien must have been very aware of how the real middle earth was. This shows in his extraordinarily penetrating analysis of the world of Beowulf , its monsters and conflicts. After reading this book I can only conclude that Middle Earth continues to influence and inspire. 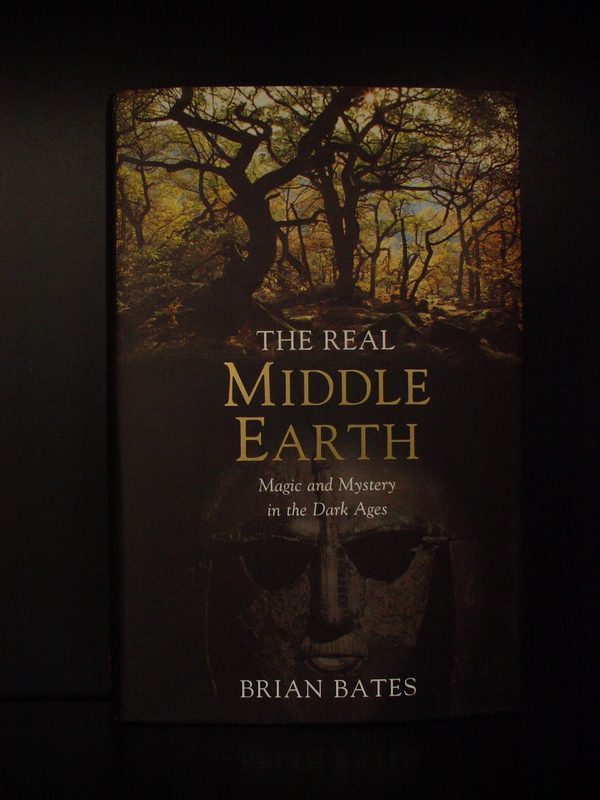 Using archaeological, historical, and psychological research, Brian Bates breathes life into this civilization of two thousand years ago in a book that every Tolkien fan will want to read.